The financial world has had little in the form of innovation for decades, crypto currency seems to be the first major innovation. After being banned in many countries and cursed by others, we seem to have arrived at a time when their presence seems inevitable. It does seem that, digital currencies are not going to go away and it also seems that, criticism against them is not going to vanish. So can crypto currency regulations and laws, improve acceptance of these financial innovations. We at GLITZKOIN firmly believe that, the crypto world needs some framework to guide operations. While critics of crypto currency are often ill-informed or confused, there are some genuine concerns voiced by them. Australia had not so long ago, implemented crypto related laws that, make it mandatory for crypto exchanges to register themselves. Transactions that exceeded a specific amount, would also have to be reported to the concerned authorities. The idea is to eliminate the possibility of digital currencies being used to facilitate, money laundering and terror funding. The moment laws related to crypto currency are established in a country, it would mean that crypto transactions are legal as long as, they adhere to the law. This is the moment that defines a win-win scenario for all stakeholders. 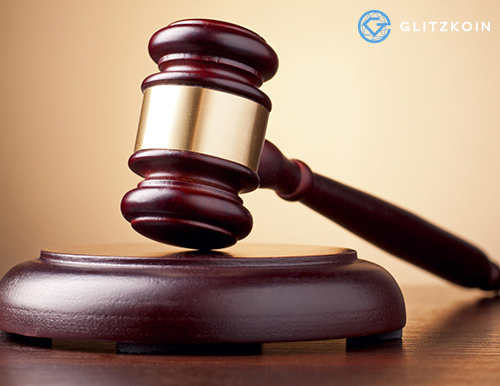 Let’s elaborate on this point to better understand, the impact of crypto currency regulations. Genuine blockchain promoters are often put at a disadvantage when, their projects are randomly blockaded or ignored. This could be due to the numerous scams that suggest projects that have little substances. You could come across dozens of ICO launches each month, which are aimed at doing nothing but collecting funds. The sad part is that, it is easy for good and promising projects to get lost in the jungle. When crypto currency laws are implemented, it is easier to identify scams and suspicious transactions. This would make crypto space safer and this in turn would increase crypto currency usage. Fraudsters would of course, see the end of their scams – something that should be welcomed by all crypto space enthusiasts. With a wider acceptance of crypto currencies, the financial world would have one more instrument to transact. Don’t forget that the peer-to-peer payment process provided by crypto currency, functions at a very low cost. Rapid technological progress will also cut down overheads in terms of execution time. Regulations concerning crypto transactions will provide a frictionless existence, between conventional and digital currencies. Talking about winners and losers, would banks turn out to be losers when crypto laws are widely formulated and implemented. It is no secret that, the decentralization implemented on blockchain technology, would eliminate the need for a centralized governing point. Overheads related to bank routing, transfer fees and currency conversion would be eliminated the moment, crypto currency is used to fulfill a transaction. In order to play a constructive role in such a scenario, banks will need to innovate and try to stay relevant. The good news is that, an increasing number of countries are working on crypto currency regulations. As the momentum picks up, countries that are now seen dragging their feet will also put their act together. The crypto community should be seeing better times soon.